Eggnog is the drink of the holidays, but celebrating the season the Margaritaville® way means giving eggnog an island spin. 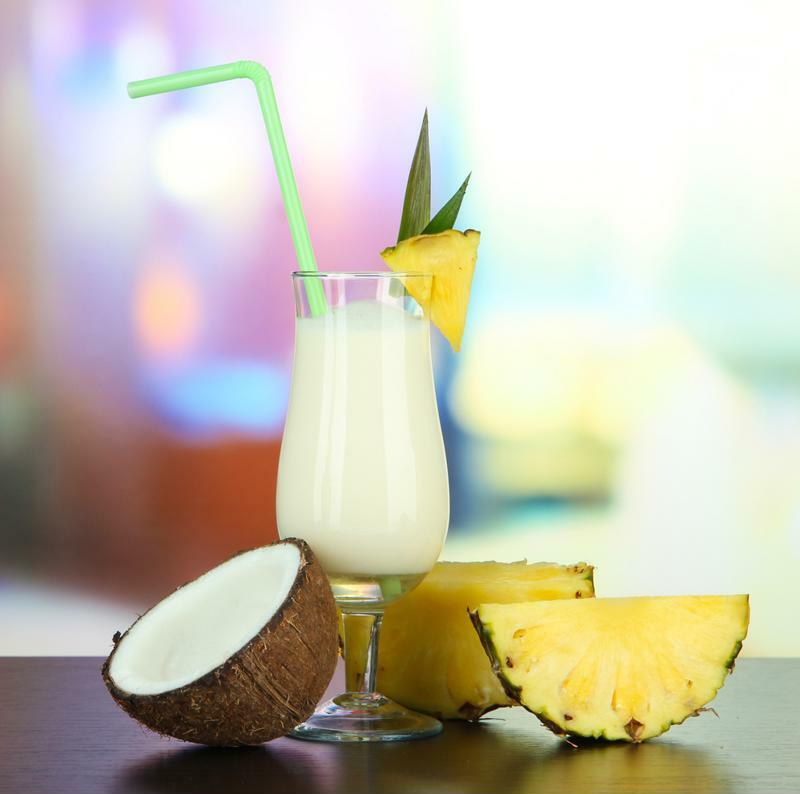 By combining tropical pineapple and coconut flavors with holiday-perfect ingredients, you can create island eggnog that will make you feel like you're miles away relaxing on a sun-soaked beach in even the coldest of winters. With the Margaritaville® Bali™ Frozen Concoction Maker®, mixing large batches of festive piña coladas for your holiday party guests is a breeze. The large ice reservoir, self dispenser and unique remix channel feature means non-stop party action this holiday season. Pumpkin in a piña colada? You bet. Sweet pumpkin flavor deliciously mixes into a piña colada for a fun holiday treat that also has a festive touch of cinnamon. Add ice to the reservoir and all ingredients to the Margaritaville® Bali™ Frozen Concoction Maker®. Mix then set out tall glasses garnished with pineapple wedges and cherries for guests to serve themselves. Leave brown sugar out for sprinkling on top. A piña colada makes this perfect island eggnog this holiday season. Smooth white chocolate and a splash of eggnog elevate the basic piña colada to new holiday heights. Add ice to the reservoir and all ingredients to the Margaritaville® Bali™ Frozen Concoction Maker®. Mix then set out tall glasses garnished with pineapple wedges and cherries for guests to serve themselves. Leave candy canes out for adding an extra festive touch. A warm mug of chai on a chilly winter's evening - is there anything more delicious? It may be this Chai Spice Piña Colada, which has all the festive flair and spice of a chai drink with the fun of a tropical Margaritaville frozen concoction. Add ice to the reservoir and all ingredients to the Margaritaville® Bali™ Frozen Concoction Maker®. Mix then set out tall glasses garnished with pineapple wedges and cherries for guests to serve themselves. Leave cinnamon out for sprinkling on top. Tart cranberries and sweet, creamy coconut make the perfect pair in this delicious holiday-ready piña colada. Add ice to the reservoir and all ingredients to the Margaritaville® Bali™ Frozen Concoction Maker®. Mix then set out tall glasses and garnished with pineapple wedges and fresh cranberries for guests to serve themselves.